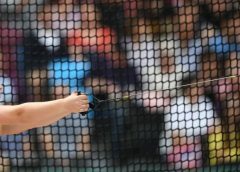 Georgia Carter is that rare breed of athlete: talented, focused, and good enough to represent her country while still at school. 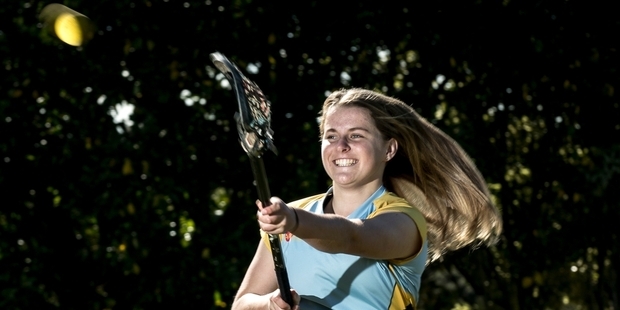 The 18-year-old, Year 13 student at Mt Albert Grammar has been in the women’s national lacrosse team – the NZ Blax – for 12 months, and leads the MAGS girls, who are the Auckland champions and one of the top schoolgirl sides in New Zealand. Carter’s elevation to the NZ Blax was one of the prime reasons she clinched the girls’ lacrosse award at the 2015 ASB YSPOTY afternoon. 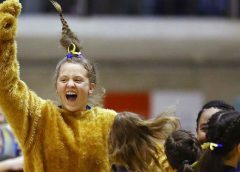 She is just back from the schools nationals in Cambridge, where MAGS placed third, and they were narrowly defeated by close Auckland rivals EGGS in a one-day tournament last week. But they did edge EGGS 10-9 in a typically tight Auckland final. Carter plays in the midfield, but scores her share of goals. “Lacrosse is definitely growing with heaps of girls interested in it. At MAGS, we had three teams this year, which is good,” says Carter. She was in Year 9 when she first got hooked on a sport which is big in the US. There is TV coverage there, and Carter soaks up as much as she can. 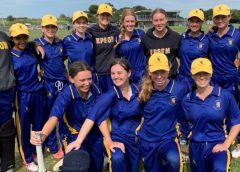 She certainly can, cracking the MAGS premier side in Year 10 and now she, like several other MAGS girls, plays club lacrosse for Westforce, based at Shadbolt Park in New Lynn. Last season was a big one, playing in the Under-19 Lacrosse World Cup, where New Zealand did well to finish fifth, and making the senior New Zealand side. Now she is awaiting selection for an NZ Blax tour to California in October. She was on a similar tour last year. “It’s only five days and it’s right at the beginning of term four, so if I do get selected I’ll be able to manage things with my studies,” says Carter. She has options and plans for next year, but the major lacrosse focus will be the World Cup in England in July. Meantime, she is hoping to gain a lacrosse scholarship to the US. 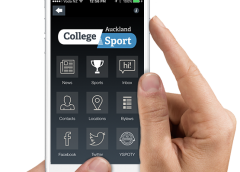 Failing that, she has applied for a Bachelor of Science degree at the University of Auckland. Either way, she is fully committed to her sport, and her training consists of a mix of gymwork, stickwork, and endurance. Most of those in the New Zealand squad train in Auckland, where many are based, every second weekend. School lacrosse is on Thursday nights. “Lacrosse is a really good, tight-knit sport, so you get to know everyone well,” she says. 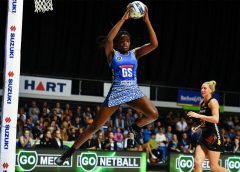 In June, Carter was successful with the NZ Blax in Melbourne, where they won the Footscray International Championship and also competed in the Australian women’s nationals, plus tests against Hong and England. Carter has had her last hurrah in schools lacrosse, but expect to see her go places in her chosen sport.